The first modern approach to relate fundamental research to the applied science of colloids, this series bridges academic research and practical applications, thus providing the information vital to both. 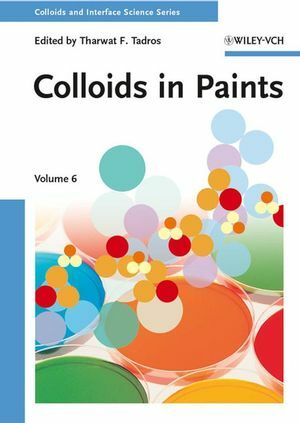 Written by the very best scientists in their respective disciplines, this volume describes the role of colloids in paints, highlighting the importance of fundamental research in industrial applications. For surface, polymer and physicochemists, materials scientists, and chemical engineers. "Dr. Tadros is a very well recognized individual in the surface chemistry community and is known to write well." "The author is a well-known scientist in this field with a long experience in colloid science." "Dr. Tadros is well-known in the field of colloid science. High quality can be expected." "Professor Tadros is a well-known expert on the topic. Because of his industrial experience it might be possible to close the gap between fundamentals and the relevance and applications in the practice." "Dr. Tadros is a well-known scientist in emulsion and rheology science who can write about fundamentals and applications of surfactants."